Did you know that gum disease is the leading cause of tooth loss? Fortunately gum disease can usually be prevented, and if it occurs, it can be treated and even stopped in its early stages. When your gums are healthy they provide a barrier to infection. If they become irritated due to tartar buildup, infections can form where your gums are attached to your teeth. Left untreated, these infections can progress and damage the gums and bone around your teeth, potentially leading to tooth loss. Prevention is the key with gum disease. If you brush your teeth twice daily, floss daily, and have regular oral exams and professional cleaning, you will reduce your chances of developing gum disease. 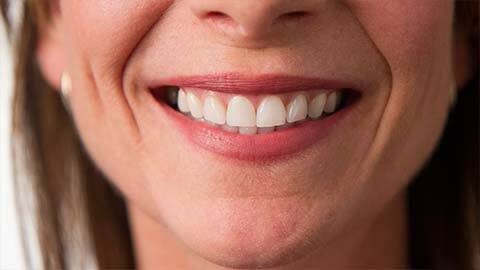 Periodontics is specialized field of dentistry that deals with the gums and their health. Dr. Warren offers Edmonton residents general dental services to treat and prevent gum disease. In some cases, he may refer patients to an Edmonton periodontist for specialized treatment. The area where your gums are attached to your teeth can be vulnerable to irritation from tartar buildup or from rough or uneven areas on the surface of your roots. We use scaling and root planing to treat these issues. Scaling involves the removal of tartar from your teeth with a special tool, and root planing involves the smoothing of rough patches on the roots of your teeth. Both methods reduce irritation and help prevent gum disease. It may become necessary to remove one of your teeth. Dr. Warren performs extractions and provides post-extraction treatment and care to help preserve the health of your gums and bone tissue. When a tooth is extracted the tissue surrounding the socket left by the tooth can begin to shrink. This can cause issues with your dental health and it can complicate later replacement of the tooth. To address this shrinkage, we take measures to preserve the site and prevent the bone and gums from shrinking. When infection begins under your gums it can cause them to pull back from your teeth, creating small “pockets” between your gums and teeth. If the infection isn’t treated it can cause these pockets to get deeper, potentially causing the infection to worsen. To alleviate this problem, we can shorten the pockets through a surgical procedure. When the depth of the pockets is reduced they are less likely to harbour bacteria. Flap procedures are procedures where we need to access your roots or other tissues beneath your gums. The procedure is done by surgically opening a small “flap” of gum tissue which is later closed with sutures when we are finished working on the other tissues. A frenum is a small piece of connective tissue between two parts of the body. There are several in your mouth, such as the one that connects the bottom of your tongue to the floor of your mouth. The frenum can be too tight, causing you discomfort and pain. To relieve this discomfort, we surgically remove the frenum to relieve the tightness. In order to place restorations such as dental crowns, there needs to be a certain amount of your tooth present above your gum line. This is to ensure that the restoration doesn’t contact your gums and cause irritation. If there is not enough of the tooth present above your gums, we can surgically remove some gum tissue to expose more of the tooth surface. Crown lengthening can also be used to change the appearance of a “gummy” smile by making the crowns of the teeth appear longer. Gum disease can often occur with minimal symptoms. Book a dental examination with our office today.